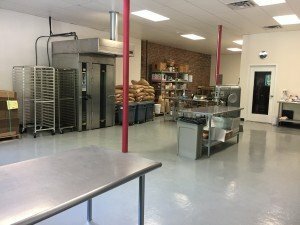 Explore the first shared use commercial kitchen on the South Shore. 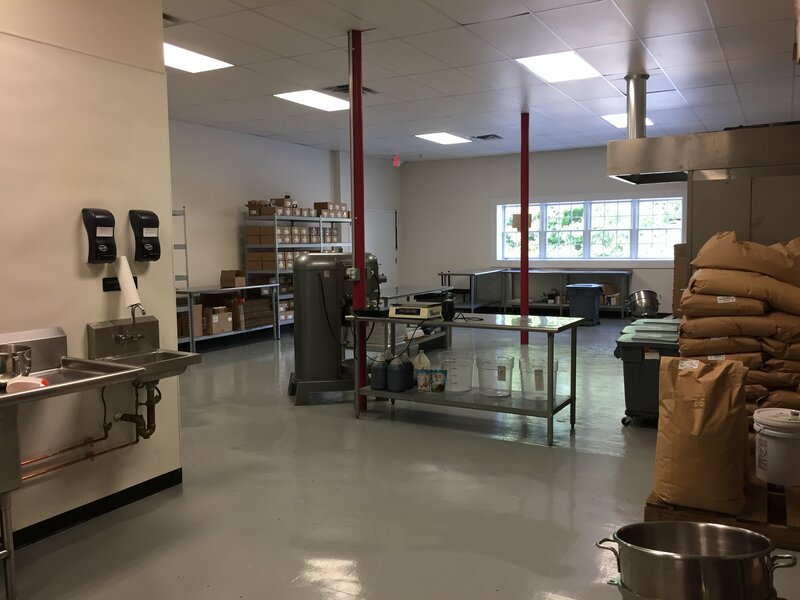 Located in the quiet town of Middleborough, MA our 2,400 sq ft facility is the perfect space for small specialty food businesses and entrepreneurs requiring large-scale commercial equipment, food storage, and guidance. 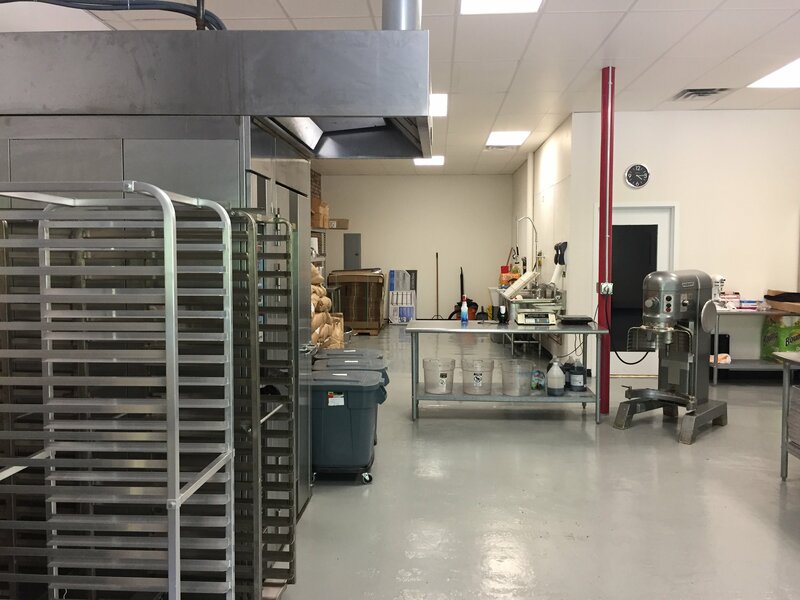 Owner and Certified Baker Joe Cooney has 20+ years experience in baking, food production, packaging and product design from independent bakery startups to multi-location franchise businesses. Joe holds a degree in Pastry Arts from Johnson & Wales and has completed a program in Product Development – Commercial Bakery with the Institute of Food Technologists. Our kitchen includes 1,500 sq ft of working space with a Baxter Single Rack Commercial Oven, Hobart 60 qt Mixer, plus KitchenAid Mixers (5 and 7 qt), Scales, Induction Burners, Refrigeration and Stainless Steel Work Tables. 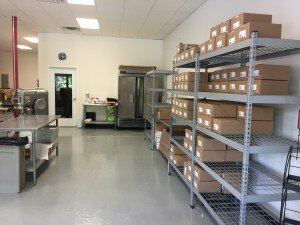 There is plenty of equipment, packaging and dry food storage, plus multiple workstations. Convenient to interstate 495 and Routes 24 and 44, the facility includes a loading area and is designed to receive semi’s and other commercial vehicles. There is a small retail area for product staging and sales. If you’re looking for space or a test kitchen, contact us. 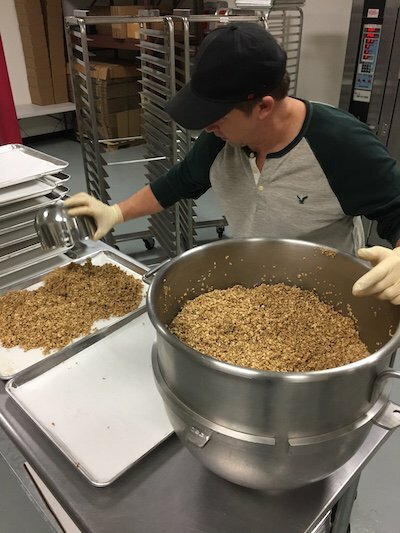 We also offer co-packing and small batch production services to help grow your business! Download our 2019 Shared Use Kitchen Rates and Shared Use Application. You can also download our Small Business Startup Checklist to learn more about starting your business in Massachusetts.